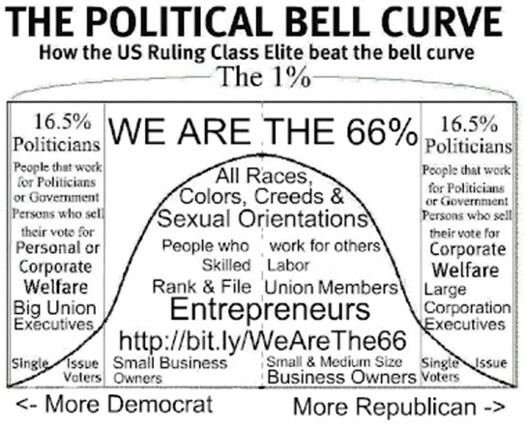 In 2012 I found an interesting article on Twitter: How the US Ruling Class Elite Beat the Bell Curve. I ReTweeted in innumerable times. 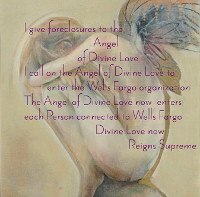 It was written by Don Mashakin 2012. What does the Bell Curve have to do with Justice, you may ask, Barbed Wire Justice or any other kind? Good question. To see the connection, look at the graphic above and notice which political demographic group stands out. Yes, there’s an overwhelming proportion of the population in one demographic group. So, of course we might expect that group to control the political agenda in the United States… Right? Republicans and Democrats vote to take away WE THE PEOPLE’s right to a speedy trial and representation under the Bill of Rights with NDAA? The American Judiciary and Legal system are systemically corrupt and yet the Democrat and Republican Parties actively cover up, aid and abet this systemic corruption. In America, at its “start up”, rulers could no longer order things without consideration of rights, the Rule of Law, Due Process. 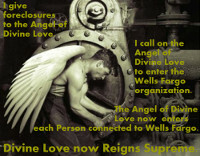 Understanding the Importance of Due Process ~ Read more. Equally important there was now “freedom of religion” which vastly curbed the ability to bring the population to heal using religious dogma. Suddenly the only tools left to the rulers in the United States, who were clearly in the minority, were their wealth, knowledge, censorship and propaganda. These were the only tools the minority had to control the majority, and thereby the political agenda of the country. 3. The minority gain the loyalty of politicians of both parties by financing their campaigns and/or giving them thins. 4. The minority build a contingent of operatives, employees, loyalists and others willing to trade their votes favors and consideration. 5. The elected officials of both parties build up their own contingents of operatives, employees, loyalists and others who trade votes for favors and consideration. 6. The elected officials of each party distract attention from their own wrong doings and voting inconsistencies by telling their rank and file to blame the other Party. While the resultant blaming, protesting and counter protesting are going on, the elected officials of both parties get together in smoky backrooms to discuss their next combined scheme. Lincoln, a Republican, freed the slaves. The KKK was closely affiliated with Southern Democrats. Democrats most actively opposed the Civil Rights movement. Yet the 1% today has you believe the Democrat Party best represents the interests of persons of color. If racism is a matter of principle and not of simple political expediency, how can it so easily drift from one party to another party? Perhaps racism today is kept alive because it benefits the ruling class elite in that it divides rank and file Americans. Using these steps the minority effectively improved their disadvantage from 1% v 99% to 17.5 v 49.5%. To close the rest of the gap, the minority ruling class elite rely upon money, major media, propaganda, censorship, baser instincts and emotions as well as election fraud. Propaganda? Yeah sure! But wait, let’s call it something more pleasant, like… public relations. By framing each election in a certain way, the ruling class elite essentially control the election dialogue and the results. For example, in an election about jobs in a bad economy, bread winners who are having trouble supporting their families are likely to vote from a place of emotional despair. With this in mind, the major media debates gloss over systemic government and judiciary corruption. For instance, were the media to focus on misallocation of resources that lowers our GDP (Gross Domestic Product) questioning among Americans would lead to less control of the election. Similarly, the major media debates gloss over the damage being done to Americans by the unconstitutional, privately owned Federal Reserve Bank. Were the media to mention the $25 billion dollars paid each year to the private owners of the Federal Reserve Bank Americans might question whether that amount left in their pockets would improve the economy and their lives. 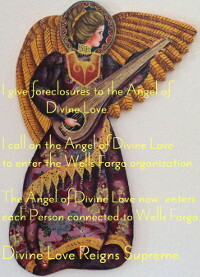 Perhaps the most harmful public relations ploy of recent years is getting Americans to blame fellow Americans for “not paying their bills” as a cause of foreclosures that cratered our economy, rather than looking at the fraud perpetrated by big banks like Wells Fargo and Bank of America. My personal experience on forums throughout the Internet made me wary of those Americans who styled themselves as Christians, yet under that banner attacked other Americans unmercifully in a way totally opposite anything Jesus Christ taught. 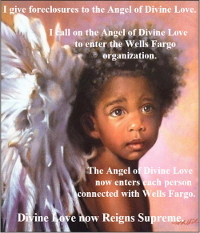 This was a particular win for the ruling minority for two reasons, first it took focus away from the widespread corruption and fraud of Banks like Wells Fargo and of Wall Street, and second, it actually impacted the health of victims of the fraud by putting addition stress on them. It is now known, you see, that stress has the effect of shortening our telomeres, which in turn results in a shorter length of life. Elissa Epel on how stress shortens telomeres which in turn shortens life ~ Watch video. Divide and Conquer: Politics and the Left/Right Fraud ~ Watch video.